What has happened to Hexus Bang4Buck analysis? It was such a useful bit of the review, bring it back. I'd definitely recommend the AMD APU over Intel's i3 offerings. Hopefully the next change brings the CPU side of things closer because I suspect a lot of people would not choose AMD based on that. It would be nice to compare the 4 trinity APUs available against each other to get an idea of the best value APU. Good review, but bang-for-buck and comparison of motherboard prices would make this far more useful for real world decisions. For a budget PC it looks like it's Trinity ftw. I hope they manage to get the chips and motherboards in stock - finding the latest generation laptops is like looking for a needle in a haystack with all the old stock kicking around. 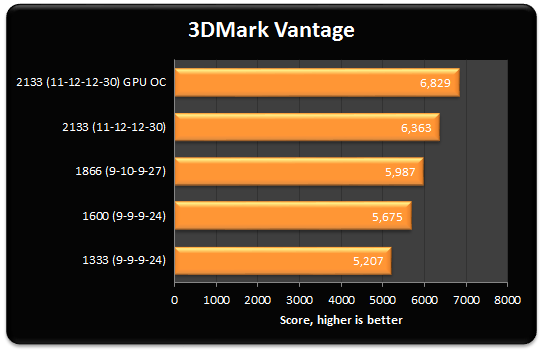 Not overclocking the CPU and then running game benchmarks is a bit of a dun-goof as well. We know there is a potent GPU on the package with a gimped CPU - overclocking the CPU may yield better results than raising the GPU's frequency up. Can you not overclock both at the same time? Last edited by Terbinator; 02-10-2012 at 10:23 AM. If you want to buy a new computer for 720p gaming then it's great. I guess a lot depends on how well dual graphics works. But these ship with a recommended frequency of 1866 to begin with. It isn't too hard to knock a multiplier up and down. I didn't see anything in this one about further articles, though. I see that no review websites got the 65W TDP A10-5700!! Regarding the A10-5700,it appears no one is selling it either!! Its been available in pre-built desktops for months. Another AMD marketing fail. Any chance Hexus can get the A6-5400K in for review?? It would be interesting to see how this does against the Pentiums both at stock clockspeeds and overclocked. Regarding the A10-5700,it appears no one is selling it either!! Be interesting to see how much it loses out in the x86 benchmarks, and how much of that is offset by power savings. Nice review. I agree that the power characteristics appear to be the Achilles heel in what appears to be a very solid £100 chip. Last edited by Jimbo75; 02-10-2012 at 01:01 PM.